I love the Summer holidays, no more getting up for the school run, making sure everyone is ready and out the door for 9am. I still have to go to work, but on my days off and the weekends I make the most of the time with my family. They love getting out and about and I try to play lots of activities for us to do. 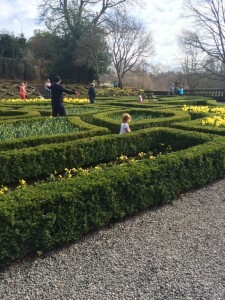 Living in Scotland, we can’t rely on the weather being sunny or even dry for that matter, but we are lucky there is a lot to do in and around our area. However, the big dilemma is trying to find activities to do and places to go that won’t end up costing you a fortune every time you step out the door. 1. Museums – There are a few museums to visit in and around Glasgow, we particularly like the Riverside museum. It has stunning architecture and it’s only been open a few years. This museum shows the history of transport throughout the ages from horse drawn carriages right through to modern day cars. Throw in an old fashioned cobbled street and some toys and you have a great family day out. I especially love the 80’s toy section, takes me back to my childhood and the boys like to say, “toys from the olden days?” Yes very good boys. The Kelvingrove art gallery is another excellent museum in the area with dinosaurs, Egyptian mummy’s, live bees and lots of stunning art work. You can even have a go at wrapping a mummy. There really is something for everyone there. 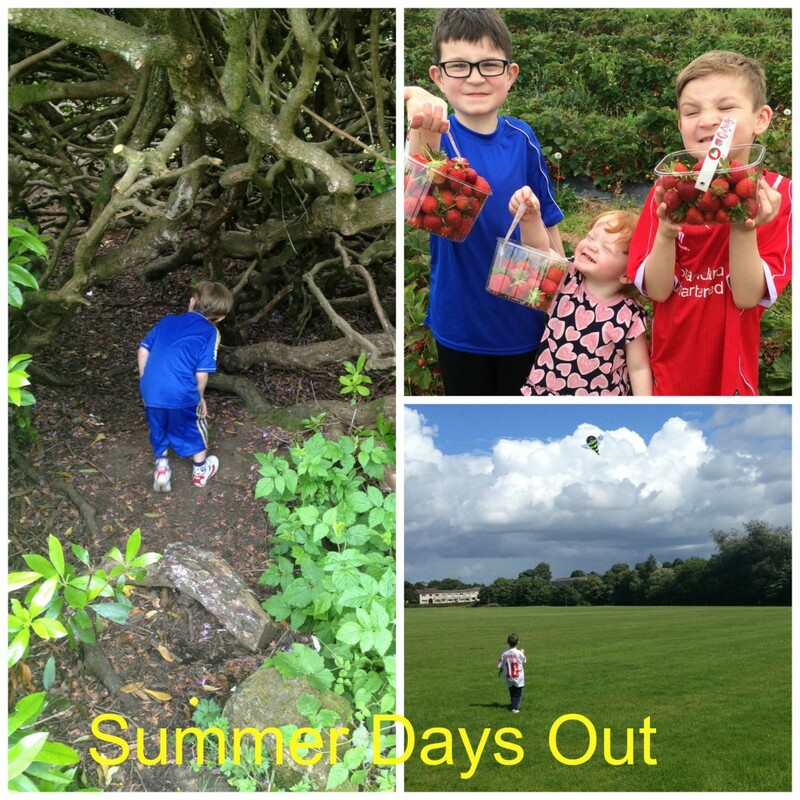 It also has various different activities on throughout the Summer. 2. 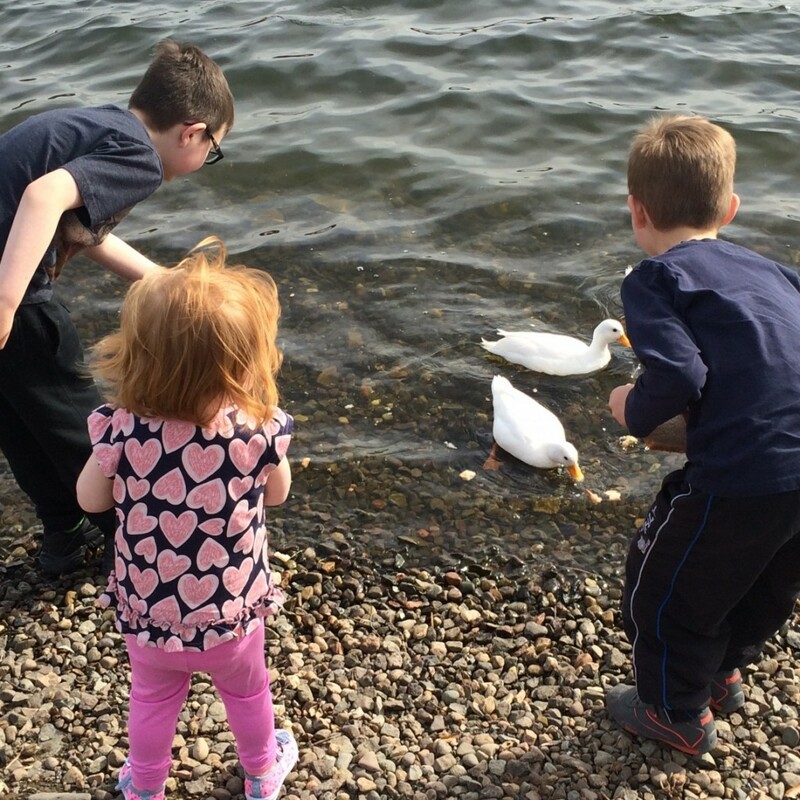 Feeding the ducks and Skimming Stones – We have a lovely heritage park, called James Hamilton heritage park close by were my children love to go and feed the ducks, something so simple, brings them so much joy. They love to see the little ducks grow and see how many there are. We take bread and the ducks always come up to say hello. Further away from the ducks, the boys can learn to skim stones across the loch. Aria likes to collect the pebbles for painting later on. Another great past time over the holidays. Like most parks there is a play area, which they can enjoy. Should water sports be your thing, there are some activities available on the loch. 3. Cycling and Windfarms – Now cycling is a lot of fun for kids, but there isn’t always a lot of space if you want to go out as a family. I’m not confident going on the road never mind letting the kids go anywhere near it yet. I hadn’t been on a bike for years until last Summer and I have to say, it’s true what they say, you don’t forget how to ride a bike. What they don’t tell you is, that you will be a bit wobbly and you will be sore the next day, but it’s all worth it. We have some great bike trails and one we tend to visit is Whitelee Windfarm. You can walk the trails, cycle or even take the horse. There is a great visitors centre where you can find out all about the Windfarm and there are always activities on which are free. And if you are a bit peckish there is a cafe with some yummy cakes. 4. Football and a kick about – My boys love nothing more than kicking a ball about. They would do this from morning until night. Taking them to a big open space or a football pitch makes there day. It is easy to do, costs nothing and they love it. We have a few pitches which are open to the public, some are part of a school and some a recreational pitches. There are loads in every area. Get a ball, get some comfy sporty type shoes, a drink and off you go for some football fun. 5. Building dens, climbing trees and swinging on swings – Calderglen park, hosts a large play area, one which many age ranges can enjoy. Lots of space for picnics and wide areas for exploring. There are plenty of trees to climb and one of the boys favourite past times is den building. From swings to slides and climbing frames. For those into animals there is a little zoo with wallabies, marmosets, pigs and many more. We sometimes go for a bear hunt into the woods, will you see one? 6. Let’s go to the beach – The beach isn’t somewhere we go often, the weather isn’t great and we although we don’t live far, it’s not around the corner. We like to wait until it’s a lovely sunny day, pack up the car with a picnic, suncream, sunhats and not forgetting our bucket and spades. Sandcastle building is a lot of fun at any age, whether you are 2 or 82 you will love putting together a little castle in the sand and tapping the top of that bucket to see if it falls apart or not. Why not try out some beach art? Writing your name in the sand or making a picture with shells? Don’t forget your sun cream. 7. Make your own tent – Remember the days of taking your mums sheets and hanging in them over the washing line? Using the pegs to attach them to trees or whatever else you have in the garden to make a tent? Those days aren’t gone, children still enjoy making tents with sheets and pegs. Hiding under them with a little snack, telling stories and having their own little den. Perhaps a little secret club shhhh. 8. Rounders – Why not get a group of kids together and have a game of rounders? This is a bit like baseball or cricket with 4 bases to hit on the way round with someone bowling the ball and someone hitting it. Divided into two teams of fielders and hitters, once out you swap. It’s simple, can be used with any kind of bat and ball and anything as your base. Badminton and tennis are equally as fun when played. 9. Kite flying – on a windy day there is nothing more fun than flying a kite high into the sky. Watching that kite fly around, soaring through the clouded sky, bobbing and weaving being caressed by the wind. You can even make your own kites and see if they fly or not. 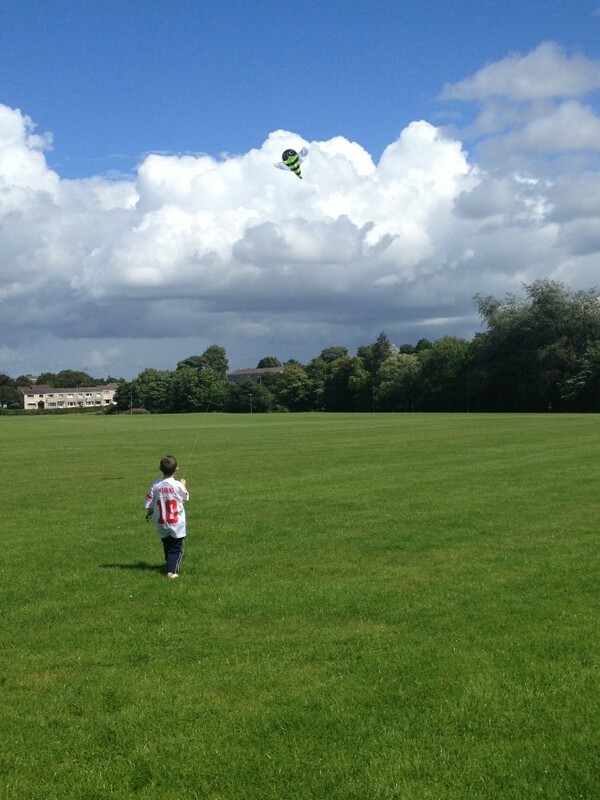 We have a lot of fun flying kites, just make sure you are in a wide open space with no power lines up above. 10. 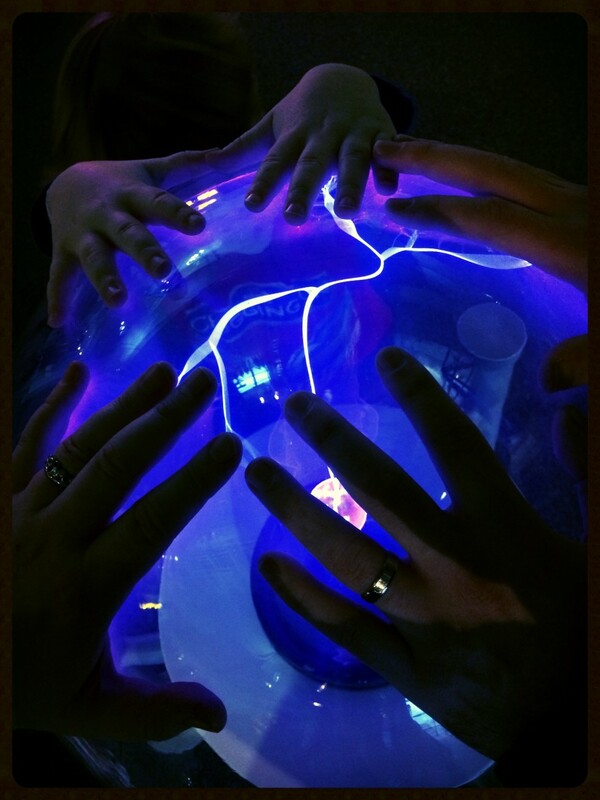 Science And Learning – The Glasgow Science Centre is a great day out, it isn’t free, but you are guaranteed to spend the entire day there with the whole family. 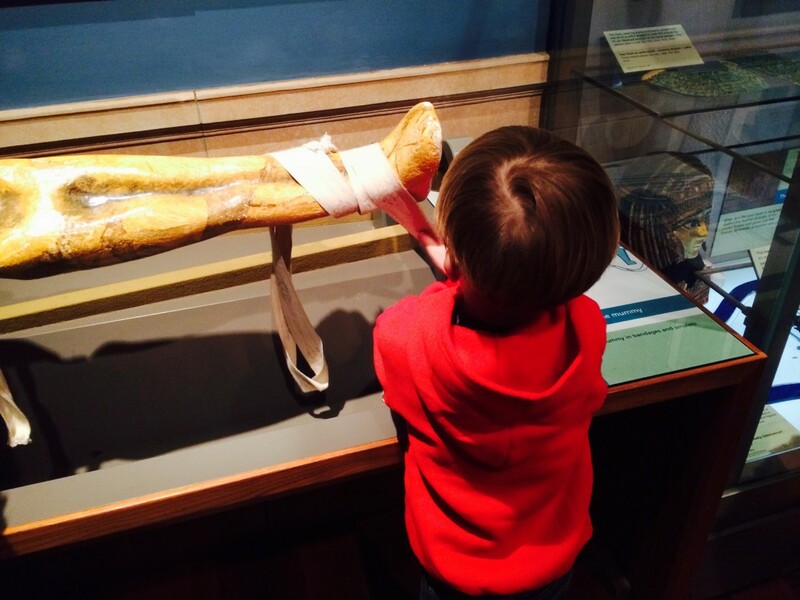 There are loads of exhibitions from body parts, to science experiments to hands on testing. There are loads of activities throughout the day and there is even the Imax and Tower to see. The water section for younger ones is a great way to keep them busy if the older ones want to do some coding. Dynamic Earth in Edinburgh is about an hour or so away, but again is somewhere where you could spend the whole day. Both attractions are learning through fun. Dynamic earth is all about earth being created and what it was like over the years. Extremely interesting. 11. Building a bug hotel – Bug hotels are great fun and anyone can make one, I have some details here on building a bug hotel. All you have to do is get some sticks and pile them up together in a criss-cross type motion, building it up as high as you want. You can stack them in a box to keep them together, a wooden one is preferable. Throw in some leaves for your little bugs to eat, perhaps a pine cone or two, maybe an acorn if you are lucky when you are on your exploration to find them and then you are ready to introduce your bugs to their new place of residence. 12. The Falkirk Wheel and the Kelpies – Close by in Falkirk there is the Falkirk wheel. The Falkirk wheel is a rotating boat lift in Scotland, connecting the Forth and Clyde Canal with the Union Canal. Something a little different. There are some roman tours and lots of play parks and activities going on throughout the Summer. The Kelpies are 30-metre high horse-head sculptures, near the River Carron, in The Helix. It was a new parkland project built to connect 16 communities in the Falkirk area. They are magnificent and definitely worth going to see. 13. Fruit picking – I did this as a child and loved it. I wanted my children to experience this too and it’s something they too love. 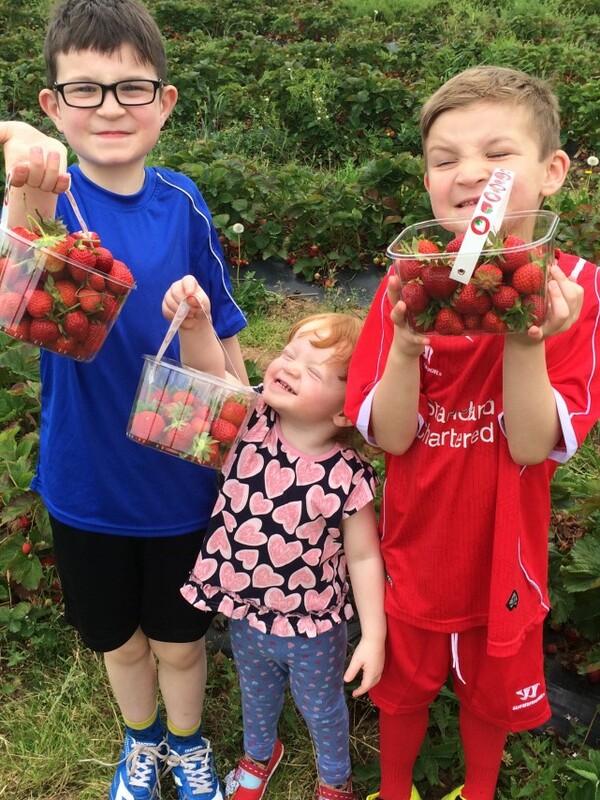 My children love fruit, especially berries, this is a great way to let them see where the fruit comes from and a chance to pick their own to enjoy later on. There aren’t as many pick your own farms around as their used to be, but there are usually a few in the area, like this one at East Yonder Farm. This year we went strawberry picking and all came home with our punnets of deliciously ripe, rich red, sweet strawberries. 14. Festivals – The Edinburgh Festival Fringe, runs 7th-31st August and is the world’s largest arts festival with an eclectic mix of comedy, theatre, drama, dance, children’s performances and exhibitions. There are a few shows, especially children’s ones that are free or cost very little. Plus there is always street acts and the atmosphere in the city centre at this time of year to electric. That in itself is something children will love to experience. Also Edinburgh International Book Festival, runs 15th-31st August. There are loads of great sessions, reading corners and authors to meet and greet. Plus lots of great shows for all ages and some are free or reasonably priced. Have a look at the guide and see what takes your fancy. I know we will be there this year. 15. Go Geocaching – Download the free app to your smart phone, this will tell you if there are caches local to you and you can get out and about. Geocaching is a great way to learn to read a compass using GPS, get out into the great outdoors and go exploring. There are loads to do all over the world. It’s free and it’s fun. 16. Crazy golf – Whether it’s indoor or outdoors crazy golf is great fun for all ages. We an indoor one called Paradise Golf. This is great, lots of fun and crazy holes and with two courses there is one to suit all ages and abilities. Yes it costs money, but it’s not a lot and I can guarantee you’ll be laughing and giggling trying to get the hole in one at the end of the course. If it’s a nice day, there are lots of outdoor crazy golf courses. There is one at M&D’s theme park, which is a pirate themed course. The council also run a few pitch and putt courses which are reasonably priced. 17. Farms And Petting Zoos – Farms are great places for introducing children to other animals and for older children there are days where they can be an animal keeper for day. Finding out what is involved in looking after farm animals from brushing to the stinky job of cleaning up their poop. Toll Cross Farm in Glasgow is a great Children’s Farm and home to a wide variety of animals, such as sheep, pigs and chicken to the more unusual, such as the colourful lovebirds and the llama. 18. Stately Homes, Ruins And Scottish National Trust – We have a Scottish National Trust membership. They had a great deal on a family one and it’s been a great buy. We have quite a few properties close by us and we can even use our card in England. Some places will have events on through the summer, a lot will also have large outdoor space and maybe even a play area for children. The outdoor areas are free, you don’t have to have a membership or pay. It is only if you want to go into the property. 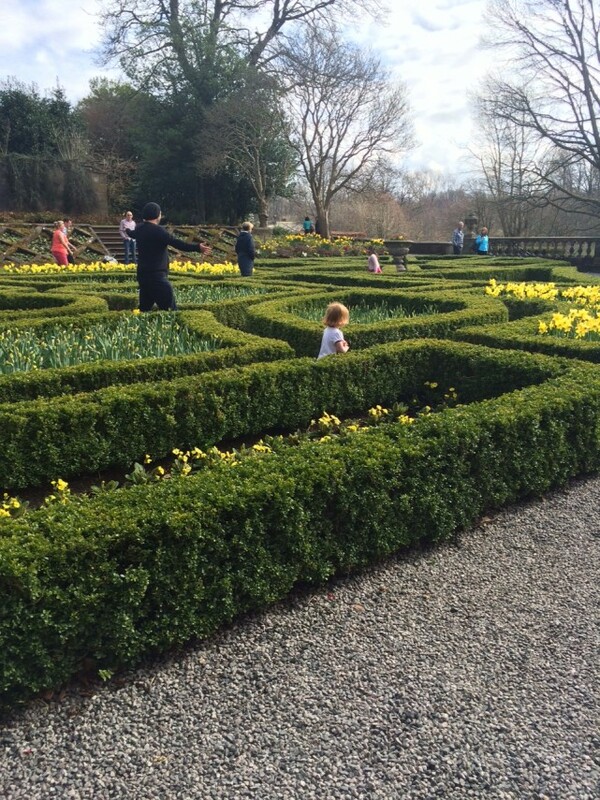 We go to Pollock Park is the one we tend to go to, great for picnics, playing football and there are activities on in the house. There is also Bothwell Castle and Castle Douglas ruins close by for exploring. 19. Museum of Lead Mining – This is an interesting place to go, near Biggar and situated in Wanlockhead Village, which is the highest village in Scotland. The museum tells the story of how lead ore or ‘galena’ was extracted and the processes it went through to become the lead. There is lots of things to see and take part in. There is the mine and the tour guide is really informative. The miners cottages show life and how they lived through out the centuries. The oldest lending library in existence is also there. And don’t forget to pan for gold, you will be addicted and try to bag yourself some gold. 20. Treasure hunting – As a child I loved making treasure maps and following them, but how about a 21st century idea? An iPhone or Smart Phone scavenger hunt! There are loads of free apps to download and you can even create your own. The children can follow along on your device or their own if they have one. They have to take pictures of the things they need to find and you always have to have a bit of treasure at the end. It doesn’t have to be anything big. This activity will get all the family working together and at the end of it, you could make a memory book of all the great photos everyone has taken. These are my top ideas for getting out and about without breaking the bank. What would you add? Please leave them in the comments section for others to check out. Disclaimer:- I have written this in conjunction with nPower, but all these activities are my own.